The orthodox view is often summarized as 'Shakespeare wrote Shakespeare'. That William Shakspeare of Stratford-Upon-Avon and William Shakespeare the author are the same person. "The orthodox view is often summarized as 'Shakespeare wrote Shakespeare'. That William Shakspeare of Stratford-Upon-Avon and William Shakespeare the author are the same person. " So begins Dr Ros Barber who teaches Creative Writing at Goldsmiths College. Goldsmiths College is part of the University of London, and has an excellent international reputation in Fine Arts. It has its own feted English Faculty, members of which are notable only in their absence in Dr Barber's MOOC. For Dr Barber's course is nothing more than an exercise in creative writing. The opening sentence above is an immediate departure from the rules of logical argument. No one has ever summarised the authorship question as ‘Shakespeare wrote Shakespeare ’. This is what is known as a straw man argument. It's much easier to present a controversial case if you ignore genuine counter arguments and reframe opposing views to make them easier to dismiss. By making adjustments. What Barber is doing here is implying that Shakespeare's authorship of his own work is taken for granted by academics and that the matter of his identity is accepted without serious scrutiny. This isn't exactly what she says but as we can see from the rest of her opening article, though couched in artfully vague language, it is exactly what she means. It is, of course, completely untrue. Speculation does not serve to rebut actual evidence in law or in historical method. What is really remarkable about the comment is the arrogance. That you think your fringe group of doubters is privileged with secret knowledge unknown to the rest of the world is ridiculous. Your new paradigm is not on its way, today or ever.I note that you still have not produced any specific evidence which you contend rebuts the case for Shakespeare of Stratford. I think the biggest stumbling block to the authorship question being taken seriously is the fact that the two candidates with the highest profiles were both dead before most of the plays were written, a scenario far more ridiculous than the one of a hidden playwright and his amanuensis. As long as these candidates are pushed to the fore, rather than being easily discounted, we all look like lunatics. It matters a lot. The genius creator is as fascinating as his creations. 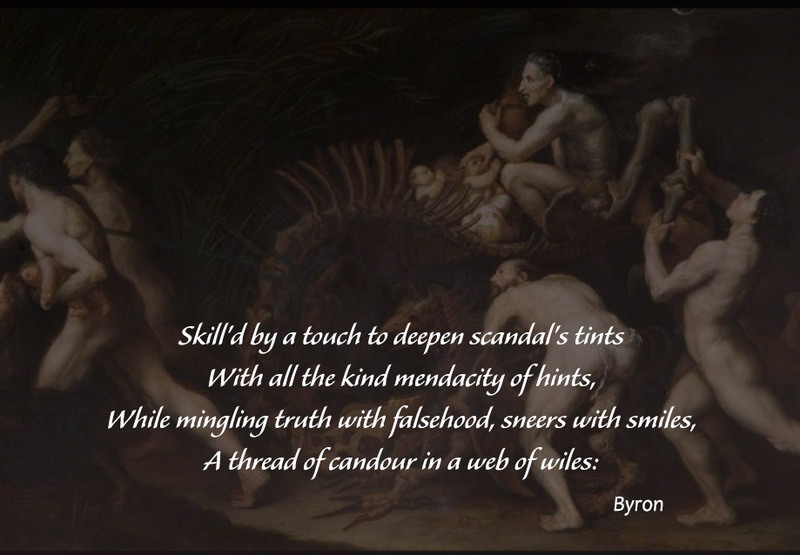 Even if he tries to hide himself, his personality inevitably shines through in his plays and sonnets. The more we know about the author, the deeper is our connection to and appreciation of his works. The anonymity of the author invites people to superimpose all kinds of silly, fashionable theories on top of the plays. Barber started by gently insinuating that no one treats the subject seriously, she now asserts more forcefully that the evidence he left behind is too ‘scant’ to say for certain what his connection with the theatre was. Whilst the evidence that Shakespeare was a player consists of a small number of cast lists and third party references, it leaves no room for doubt that Shakespeare was indeed an actor. Once again we have argument by insinuation, capped with a statement which is inaccurate and deliberately intended to mislead. Barber has no grounds at all for suggesting that the word ‘player’ was not synonymous with ‘actor’. She makes the statement with what looks like due academic caution but her hesitation to commit is just the con-artist's deceptively wrinkled smile. There's no ambiguity about the word ‘player’, nor is there any doubt that Shakespeare was an actor. Better qualified people like David Kathman pointed out her errors here but received no acknowledgement. In seeking to open discussions over Shakespeare's authorship, Barbour is carefully and creatively inventing the doubt which she wants course participants to absorb. She invites debate not to encourage criticism of her argument but to allow her to strengthen them next time out. It's as dishonest as selling hair restorer from the back of a covered wagon. And every module of her course is full of it. Yes it matters. And it matters that much. If you can deprive the greatest playwright who ever lived of credit for his work using only insinuation, distortion and abuse of the historical record; if you allow people to invest conspiracy theories with academic credibility, then the door is open to every kind of assault on reason and logic. As these pages demonstrate, this course is nothing more than an idle parlour game for contrarians with dangerous implications for educators everywhere. It's availability as a MOOC wearing the rosettes of the University of London is an affront to scholarship.